The advocacy arm of Planned Parenthood has launched a new political action fund to influence this year’s election in Texas, according to the CBS News outlet in Dallas-Ft. Worth. It hopes to replicate its success shaping the Virginia governor’s race. Cecile Richards, president of the national advocacy group Planned Parenthood Votes and daughter of the last Democratic governor of Texas, Ann Richards, told CBS that the Texas branch of the organization hopes to fight what it sees as an unprecedented attack on a woman’s right to choose. Abortion rights will play a major role in the 2014 election for Texas governor. Republican candidate Greg Abbott opposes abortions in all instances except when the life of the mother is in danger, and he has the support of anti-abortion groups, which are influential in the Republican Party and can turn out large numbers of Texas voters. Wendy Davis, the Democratic nominee, gained national attention for her filibuster of a measure last summer that imposed some of the strictest abortion regulations in the country. She rallied thousands of demonstrators in Austin for some of the largest protests in recent memory. Planned Parenthood, a 501(c)(3) non-profit, provides services like breast and cervical cancer screenings and birth control to about half of the 130,000 low-income Texas women enrolled in the Women’s Health Program. Its leaders formed Planned Parenthood Votes Texas (PPVT), a 501(c)(4) nonprofit group that aims to educate voters on an issue. Both campaigns have worked hard to win the support of female voters, who political analysts tell CBS are likely to decide the election. Unless you have been sleeping under a rock for the last 30 years, you know that the abortion debate figures large. PPVT will use phone banks, direct mail and other organizing techniques to turn Planned Parenthood supporters out to vote this year. The effort is a textbook example of a non-profit employing advocacy to advance its cause in service to its clients. Republicans in the Legislature are trying to cut state funding for family planning clinics operated by Planned Parenthood. A third of the state’s abortion clinics have shut down because they cannot meet the requirement to have a doctor on duty who has admitting privileges at a hospital within 30 miles. 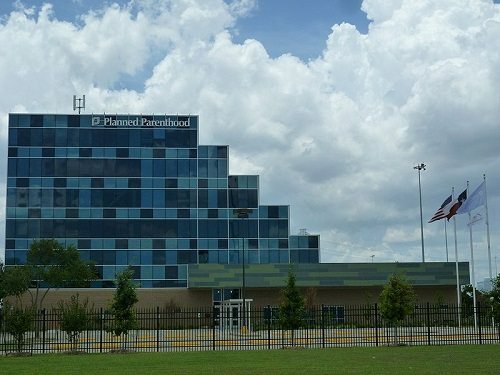 Planned Parenthood has sued to overturn the law, and an appeal is pending in the 5th Circuit Court of Appeals.